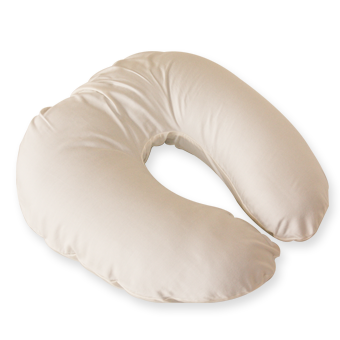 Our organic nursing pillow is an organic cotton outer and filled with Certified Organic Wool. A wonderful pillow that supports baby at the right height for nursing. Great for after caesareans too. Use to support baby's chest during neck exercises or their back when playing with toys. Simply spot-wash outside when dirty.